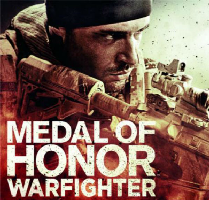 Danger Close has released their first reveal of the multi-player component of the upcoming Medal of Honor: Warfighter. With the game set to release October 23rd. Additionally, Danger Close has asked their community to help them come up with a more creative name for their new "Sport" game mode. "The idea was to create an arena for the players who were searching for the most competitive type of gameplay - an arena that fit traditional clan structures well. We knew that we wanted a game mode that was as rewarding to play as it was exciting to watch. Quick rounds with no respawn abilities were established early, and getting the national flags to be a central part of gameplay was a given once we saw the overwhelming response to the Global Tier 1 concept." "The majority of the combat happens at the beginning of the round while the attackers are fighting to cross the defensive lines. If the defenders fail and let the attack through, they'll need to switch tactics when closing in on the attackers' escape routes. Fail a second time and they'll lose that round." To help name this or see what other names are already being proposed you can go to the MoH:Warfight Facebook page.